Lēts un efektīgs skaneris mobiliem DJ un klubiem. Based on the successful ROBE DJ Scan 150 XT, the fixture has new electronics and software, extending the ClubScan 150 CT with the master/slave and stand-alone operations. The option of ″auto-″ or ″music-trigger″ for easy control is also available; the gobo wheel features 13 unique new gobos; a colour wheel with 11 dichroic filters and UV effect filter and 3 multi-colour filters + open and a shutter with a strobe effect. The ClubRoller 150 CT comes with a barrel mirror to complete ROBE‘s range of Club&Bar Scanners. 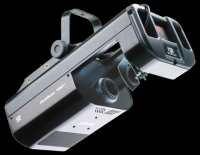 The fixture has new electronics and software, extending the ClubRoller 150 CT with the master/slave and stand-alone operations. 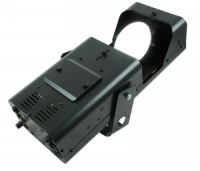 The option of ″auto-″ or ″music-trigger″for easy control is also available; the gobo wheel features 13 unique new gobos; a colour wheel with 11 dichroic filters and UV effect filter and 3 multi-colour filters + open and a shutter with a strobe effect. The ClubScan 250 CT comes with new electronics and software. This enables the master/slave and stand-alone operations. The option of ″auto-″ or ″music-trigger″ is also available for easy control. There‘s a gobo wheel with 9 new unique gobos; a colour wheel with 11 dichroic colours and UV effect filter and 3 multi-colour filters + open; a shutter with a strobe effect. 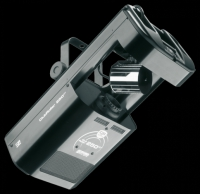 The ClubRoller 250 CT utilises the same housing and functions as the ClubScan 250 CT with the addition of a mirror barrel. As with the ClubScan, the unit comes with new electronics and software. This enables the master/slave and stand-alone operations. The option of ″auto-″ or ″music-trigger″ is also available for easy control. There‘s a gobo wheel with 9 new unique gobos; a colour wheel with 11 dichroic colours and UV effect filter and 3 multi-colour filters + open; a shutter with a strobe effect.